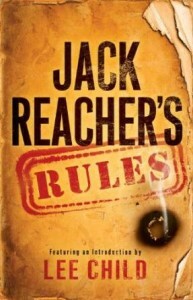 Have you read the book Jack Reacher’s Rules? 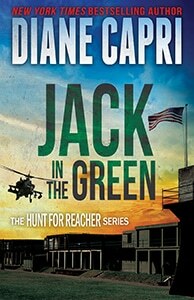 It’s a handbook of sorts, full of helpful tips and nuggets of wisdom inspired by the way Lee Child’s Jack Reacher lives off the grid and operates without dying. 1. Watch the subject’s pulse to identify the right emotional triggers and get the answers you need. Kim Otto has developed her skills. She can measure heartbeat visually by watching the pulse in the neck. An increased pulse indicates nervousness. Body language is a backup measure. Otto also looks for excessive sweatiness, shaky legs or hands, lack of eye contact, the subject sitting on the edge of a chair, shifting weight from one foot to another, licking the lips, wiping hands on clothes to remove sweat, fidgeting with small objects, rapid blinking, scratching or wiggling the nose, and raising the shoulders. All signs of nerves, which indicate that she’s nudged a pressure point. When she finds it, she pushes harder. 2. Don’t be stupid. Which seems obvious, but too often, “stupid” is something Otto doesn’t discover until it’s too late. 3. Always assume a third party is watching, or listening, or both. To minimize the listener’s access to your activities, turn off GPS, create conflicting noises such as radio, TV, a bathroom fan, or a crowd of people, while speaking in a low voice. The listener can identify your voice and remove everything else, of course. But that takes time and additional equipment, which gives you room to move. 4. Ignore the fear and do it anyway. This one might violate Rule #2 from time to time, right? We’ll compile more of Kim Otto’s Rules for upcoming blog posts. 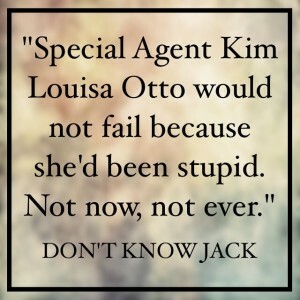 Which of Kim Otto’s Rules would suggest we feature? Hit the “Comment” button below and tell us. We’ll see if we can include them in a future lesson. Saturday Special: Happy #PicnicDay Weekend! I think a very valuable and sometimes underrated tool is to absolutely trust your instincts!! If someone or a situation is making you feel uncomfortable it may be that you really are in a situation that could be dangerous, even deadly!